Our main office is nestled in the tranquil hills of Silver Lake, California – an extremely dog friendly community, where we have been a solid fixture since 2000. Unlike some other dog walking services, we are a neighborhood operation run by friendly folks with oodles of pet experience. 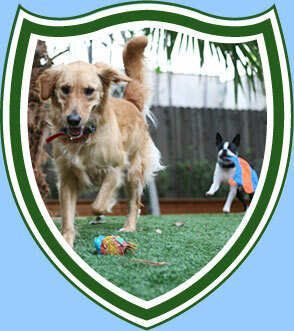 In 2013 we opened Dog Camp Ventura, an elite beachside dog experience for our best behaved dog clientele. We have worked with top notch Los Angeles dog trainers such as Cesar Millan (“The Dog Whisperer”), Steve Brooks K9U, Feather Cresciman, Devil Dog Ranch and Bark Busters. Dog Camp LA specializes in catering to clients in the film and music industries as well as other customers with extremely busy schedules. Our staff is honest, trustworthy, reliable, discreet, and downright nice to have around. We are up-to-date members of The Silver Lake Chamber of Commerce, and have donated our time and services to The SPCA, Pet Sitters International, as well as other local pet rescues. We are certified in Pet First Aid and CPR, and are insured and bonded. Please feel free to contact us by phone for an in-home interview or for any questions you may have concerning our services. You can also email your inquiries to us at asstmanager@dogcampla.com .